With Virtual Midi Mixer you can create your own midi controller environment, you can create faders, knobs, buttons, menus and more. This program works only under Window 3.11 and Windows 9x. 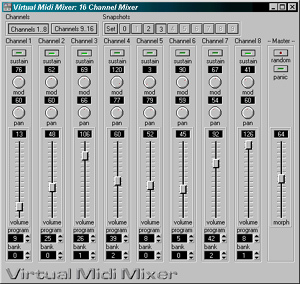 Windows 2000 and XP users take a look at Virtual MIDI Sliders.